Every sentence in a contract is technically there to serve a purpose, and software development and service contracts are no exception. If your company is looking to license or develop a specialized software application, it’s important to negotiate the terms to the greatest extent possible to protect your long-term interests. 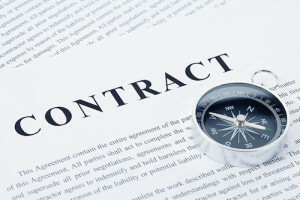 There are many contract provisions that can be negotiated, but the major risk provisions found in most contracts are the following: (1) Limitation of Liability, (2) Indemnification, and (3) Warranty. Each of these provisions affect the other, so they must be negotiated to ensure that they operate in harmony. Limitation of Liability ranks as one of the top contract provisions negotiated in a software contract. When effectively drafted, a limitation of liability clause limits each party’s liability for breach of contract or specific types of harm. A software publisher’s liability is usually limited to the amount of fees paid to the vendor or a fraction thereof. The risk in not negotiating these terms is that the licensee is capped at the amount of damages, which may not equate to the actual amount of harm, which can include lost business opportunities and company downtime, to name a few. The best way to negotiate limitation of liability clauses it to draft them in such a way as to: (1) increase the damage cap, (2) negotiate insurance coverage, or (3) negotiate a limitation carve-out that excludes certain type of claims from the limitation of liability. An indemnity clause requires one party to bear the monetary and defense costs, either directly or by reimbursement, for losses incurred by a second party. It shifts potential costs from one party to another. In the context of a software agreement, one potential claim is an intellectual property (“IP”) infringement claim. The licensee may seek reimbursement for costs incurred in defending a claim by a third party that the licensed software infringes on the third party’s IP rights. For this reason, licensees should be careful to negotiate appropriate protections for third-party claims. Indemnification provisions should ensure that the software or service provider will be responsible if the licensed software infringes the IP of a third party by requiring the software or service provider to do the following: (1) purchase a license to the infringing code in order to be able to legitimately provide it to you; (2) modify the infringing code so that it no longer infringes the third party’s IP rights; (3) replace the infringing code with code that does not infringe the third party’s IP; or, if none of the above solutions are possible, (4) the software vendor will refund the license fees. Other indemnification provisions often included in contracts cover harm that is suffered from a service provider that provides services on business property, such as bodily injury, death, or damage resulting from the negligent or willful acts or omissions. These types of indemnification provisions are often included in contracts, and before wasting time negotiating them, it is important to consider whether they need to be in the contract at all. A warranty in a software or service contract is (1) a formal promise by a vendor that the product is defect free or that the service will be performed in a workmanlike manner, and that if it fails to do so, (2) how the vendor will go about rectifying the defects in the product or service. The best way to negotiate warranties is to ensure that they cover potential points of failure. For example, a warranty provision in a software contract should require the software or service provider to promise that: (1) it has a sufficient number of trained personnel to perform the services consistent with industry standards and in workmanlike manner; (3) it will comply with all applicable laws; (4) it maintains an information security process with physical safeguards appropriate for the sensitivity of customer information;(5) the software will perform its functions; and (6) the software shall be free of material or hidden defects. Remember, it is always important to seek advice from experienced counsel in order to understand all the risks involved when negotiating software and service contracts.